See Inside Llewyn Davis for Free and nab the soundtrack while you're at it. 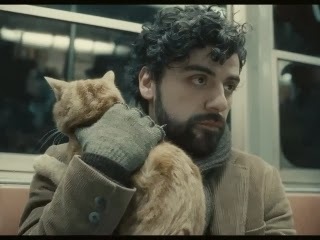 The highly anticipated new Coen brothers film Inside Llewyn Davis is coming to Seattle in a few weeks. Due to the generosity of the film's internet benefactors I have five pairs of tickets to give away for an early screening on December 9th at Lincoln Square Cinemas in Bellevue. Each winner will also receive a copy of what looks to be a happening soundtrack album from the film. If you'd like to throw your hat in the ring just send an email to 'contest @ randomwalkthroughfilm.com' with your name, mailing and email address by 9am PST on Sunday December 8th. On Sunday I'll randomly select 5 winners to check out the movie (and soundtrack). By entering of course you assume any and all risks of attending, agree to be cool about mild issues that may come up and behave yourself in the theater. All the usual stuff. I'm super excited to see this one - reports from earlier screenings and Cannes have been terrific from what I've seen. Below is some more info on the film direct from their PR people.